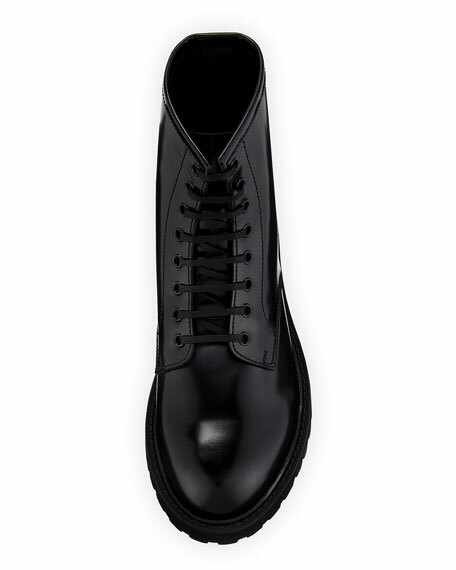 Saint Laurent leather high-top boot. "Liverpool Lu" is made in Italy. For in-store inquiries, use sku #2439354.